Most of us will spend some time living alone at one point or another, and not everyone needs a separate bedroom when they're the only person in the house! Sometimes it's good enough to have a living and sleeping area rolled into one. Despite how you see most people living, you might not need a home with a separate room for sleeping. 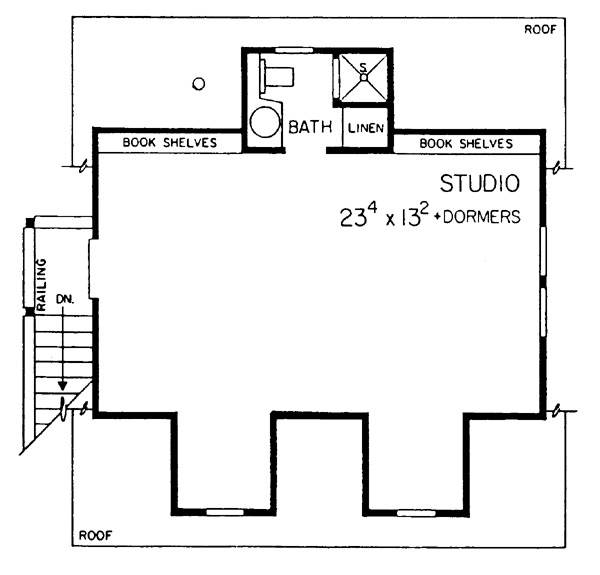 Studio designs are a convenient, economical solution for people living on their own, so if that's you, take a look through the plans below! 1. Cozy home with U-shaped kitchen from Houseplans. 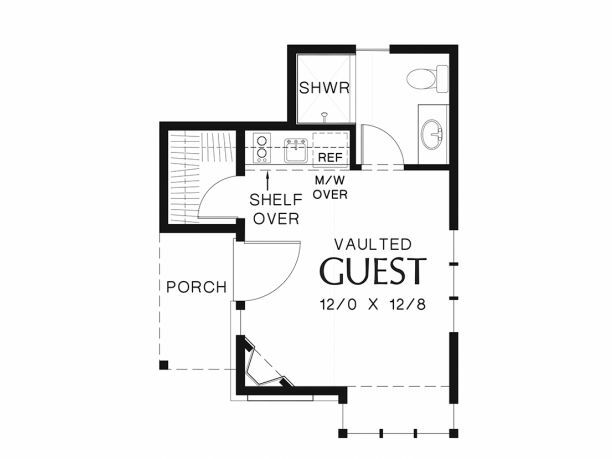 This cozy little design from Houseplans comes in at 640 square feet (59 square meters). 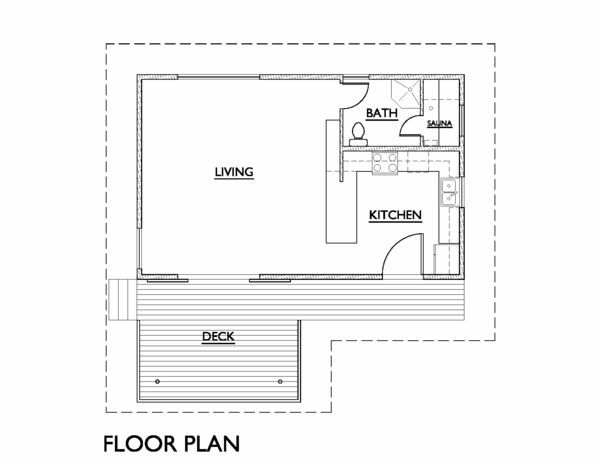 There is a large deck at the front of the home, and a door on the right-hand side opens directly into the kitchen. 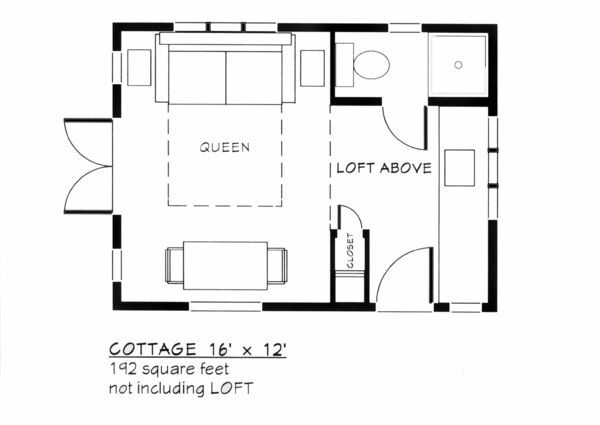 The living and sleeping area is off to the left, and a bathroom with a shower and a sauna can be found in the back right corner of the home. 2. 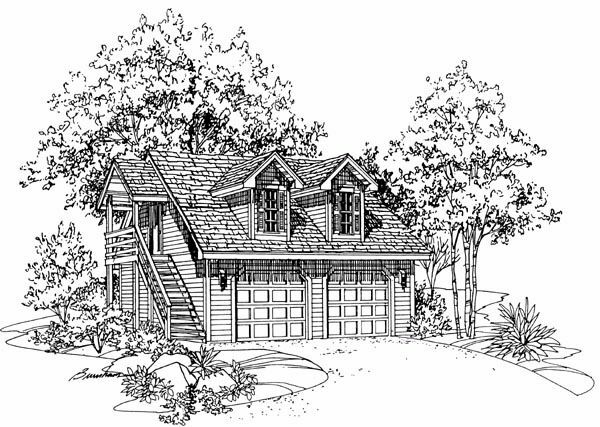 Simple cottage from ePlans. 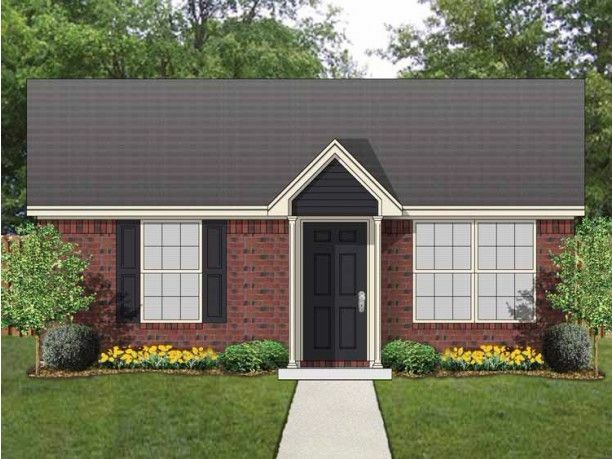 At 559 square feet (52 square meters), this home from ePlans has a charming brick exterior and a small covered porch at the front. The front door opens into the living room, which has a small wet bar behind it. There is a nook off to the left, which leads to a bathroom with a tub. From here, you can access the sizable walk-in closet. 3. Rustic country home from Family Home Plans. 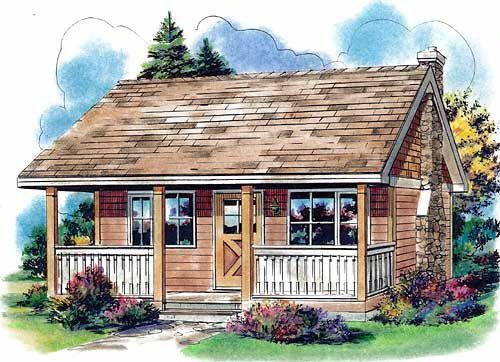 This cozy little cottage from Family Home Plans comes in at 300 square feet (28 square meters), and it has a fairly large veranda. The main living and sleeping space is on the right side of the home, and it features a cozy fireplace tucked away in a little nook. 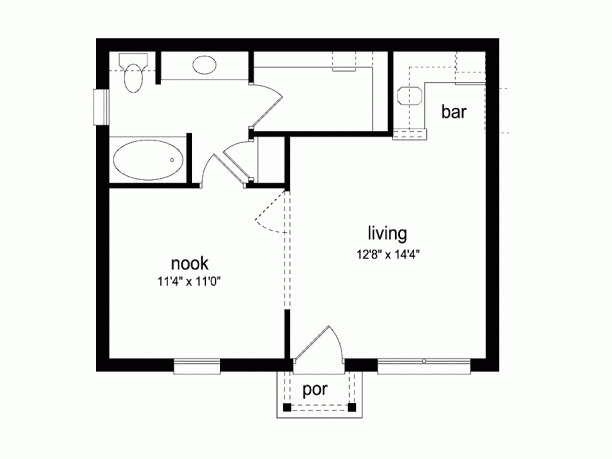 An L-shaped kitchen is off to the left, and there is a bathroom with a shower right behind it. 4. 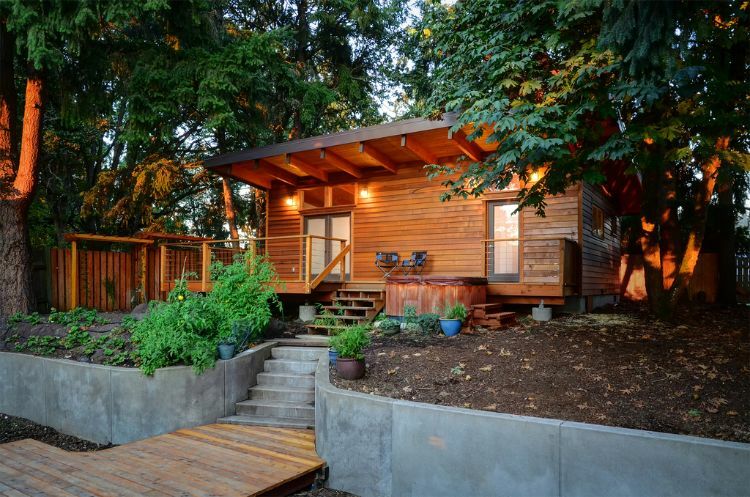 Tiny Craftsman from Houseplans. Coming in at a fairly tiny 192 square feet (18 square meters), this design from Houseplans has plenty of windows to let in natural light. The front door opens into the kitchen area, behind of which is the bathroom. There is a small closet just to the left of the front door. The rest of the home is taken up by the sleeping and living area; double French doors on the far left wall provide easy access to outside. 5. 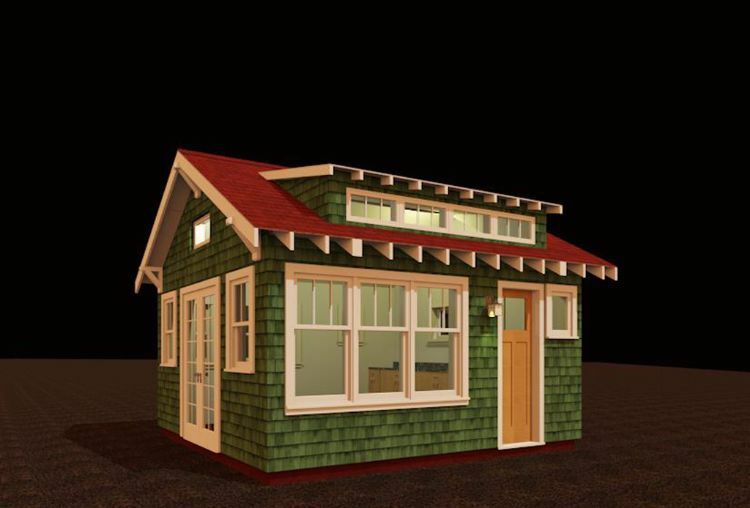 Craftsman carriage home from Floorplans. 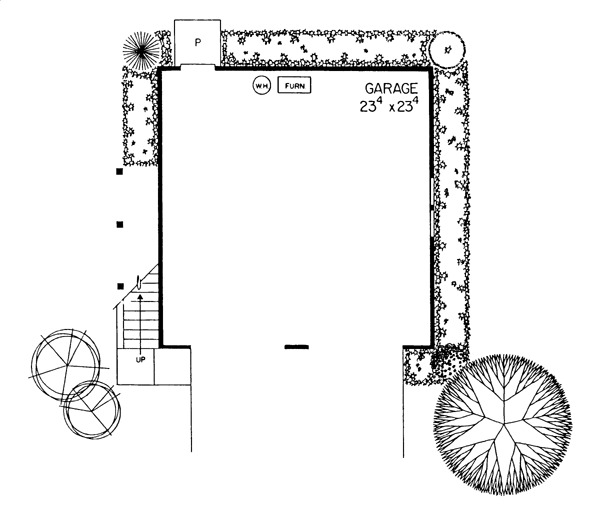 At 448 square feet (42 square meters), this home from Floorplans sits above a single garage. A bathroom with a shower is located at the top of the stairs, and the rest of the home is off to the left. The L-shaped kitchen is on the left-hand side of the main room, and there is space for a small dining table right next to the stairs. 6. Charming English cottage from ePlans. 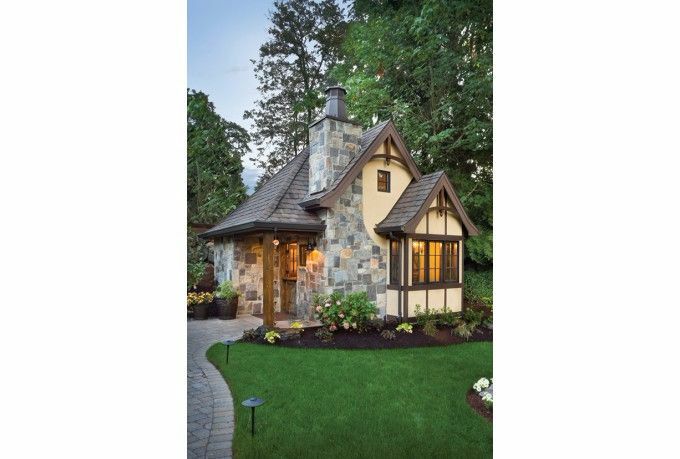 This tiny English cottage from ePlans measures only 300 square feet (28 square meters). 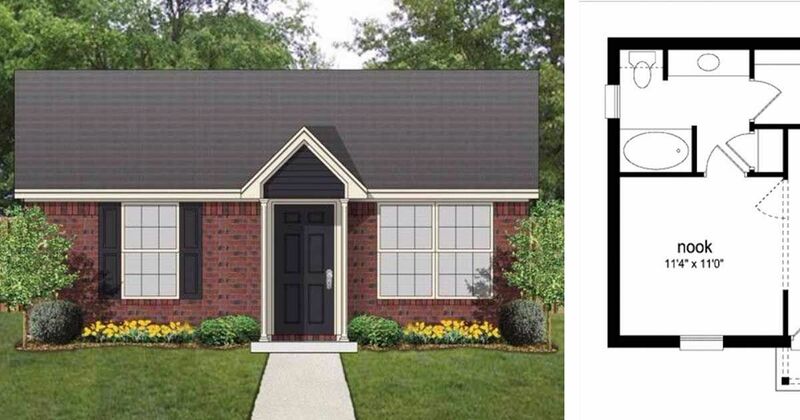 The front door is located under a small porch on the left of the home, and it opens directly into the main living space. Vaulted ceilings make the room feel larger than it is, and a fireplace in the corner keeps the room nice and cozy. 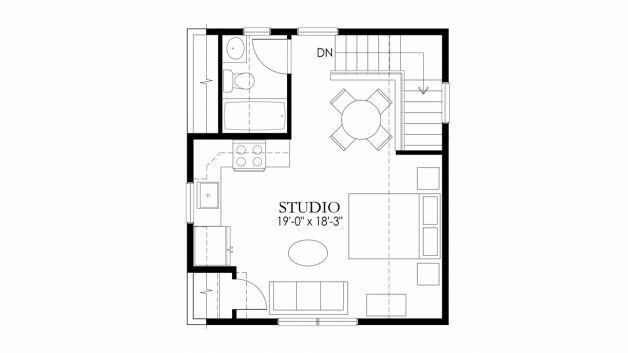 There is a small kitchen area at the back of the room, and a walk-in closet is located right to the left of it. A bathroom with a shower can be found at the back of the home. 7. 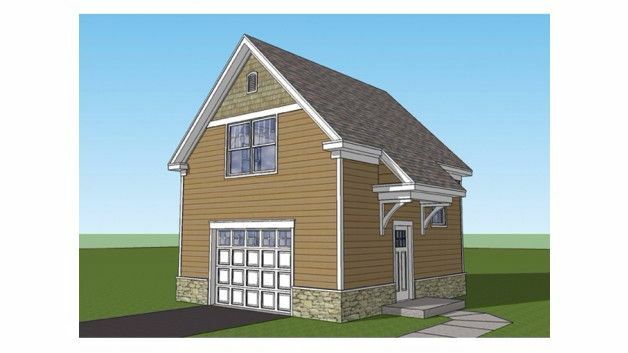 Traditional home over two-car garage from Family Home Plans. 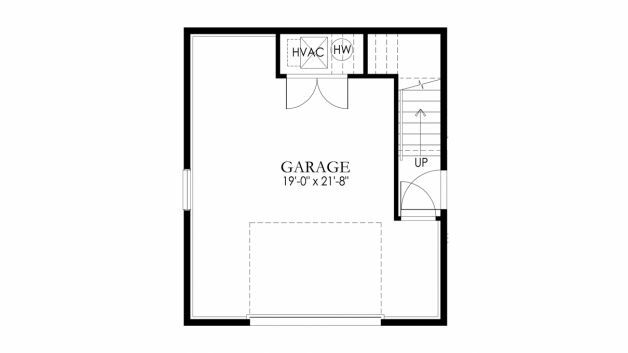 This simple design from Family Home Plans sits above a double garage and comes in at 428 square feet (40 square meters). Considering the lack of a kitchen, it's best-suited to someone who doesn't much care for cooking! 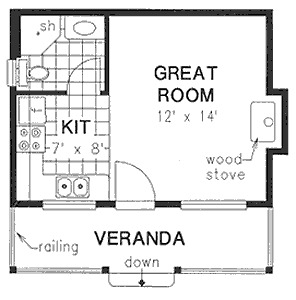 Besides the bathroom at the back of the home, the use of the space is entirely up to whoever lives in the home. There are several built-in bookshelves at the back of the home, and two dormers at the front give the room some character.